The Senate and Assembly today each gave approval to legislation making New Jersey’s minimum wage $15 an hour. The bill goes to Gov. Phil Murphy, who is all but guaranteed to sign it. The vote brings an end to a two-week fight over the measure in which thousands of businesses spoke out. “New Jersey’s small business community wrote thousands of letters to our lawmakers and testified how they will struggle, stagnate or fail when this legislation is signed by the governor. With today’s passage, the urgent concerns of this community have not been heard,” Siekerka said. 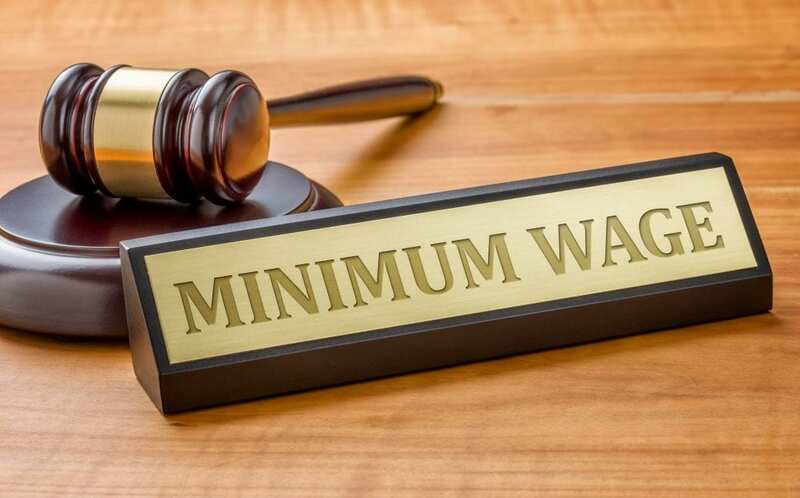 New Jersey’s minimum wage would go to $10 an hour on July 1 and then to $11 an hour Jan. 1, 2020. After that, it would rise a dollar a year until reaching $15 in 2024. Legislators made some narrow exceptions for business with five or fewer employees, some seasonal workers and farm workers. The exceptions merely delay the increase until later. Eventually, all businesses would have to pay $15 an hour. Additionally, the vote came on a day that the Legislature was also set to increase taxes on jet fuel, authorize a new tax on stormwater runoff, and dramatically expand the state’s paid family leave program, as well as several other anti-business bills. Unfortunately we have a vote hungry governor that does not care about businesses whom drive the economy and employment. This will implode and Murphy/Sweeney will go down in history with the ruination of New Jersey. Somehow Christie is looking like a champion at this point. You are so correct! How can a small business stay in business with a $15.00 minimum wage. Just counting the days when I get to leave New Jersey! Why did you vote for him and not Kim? If you do not have something constrcutive to say, then stay off this site. Its for mature adults only! The power to tax is the power to destroy. This power needs to be used for the common good not the select few. It’s amazing how New Jersey never learns its lessons on making businesses uncompetitive in this state. I guess they like to ignore the true facts and difficulties that other states and cities have faced with a mandatory $15/hr minimum. Guaranteed there will be an exodus once again of companies leaving the state never to return. I guess we have to support Murphy’s ultra left progressive ideology and of course to support free college for illegals. Sad day for NJ. The “Tax and Spend” Democrats really earned their moniker today. They are further destroying the vitality of New Jersey business. They have no clue what it takes to run a business and to appreciate an individuals Capital at risk to create jobs. Truly Pathetic !! The next sucking sound you will hear, will be business leaving NJ en masse. Its phased in over 5 years so maybe we can plan for it. The bigger concerns are going to be the ripple effect up the ladder. If a non-skilled worker gets $15 / hour what about everyone else up the chain. In July $8.85 to $10, at 13% jump in pay. That’s going to mean everyone else gets a 13% jump too. Then another jump in Jan 2020 and so if goes. If NJ goes like everyplace else that has done this young people and unskilled workers are likely to have fewer and fewer opportunities and places where there these people deal with the public like fast food and other retail places are going to replace people with kiosks. So our ever so insightful lawmakers will have created more unemployment for unskilled and young people trying to get some work experience. But this BS sounds so good on the campaign trail. Yet you voted for him and not Kim! When the unskilled are replaced by machines, he’ll need to do something to secure that vote. Will he double the unemployment benefits? Bob said it best “Unfortunately we have a vote hungry governor” Imagine how great NJ would be if there were more business minded voters. But who’s to say that group would’t eventually demand sweat shops. Both ends of the spectrum should be avoided. We’re clearly at the far-left end right now. I leave for Florida on Saturday. Business trip to find a new home and new business location to move out of NJ. We will take our non minimum wage jobs with us to Florida which has a low business tax and no income tax. It will take 2 years, but bye bye NJ. Has anyone done the math on the impact of the minimum wage increase to the overall state and federal payroll tax coffers? My guess is this is not insignificant and may help reduce the state deficit as well as the loss of high income earners leaving the state. If this is the case, its a short-term fix as it becomes more or race to the bottom of sorts as the innovators and business owners that take all of the risk and just speeds up the exodus. I know my plan is to invest in technology so I can start eliminating headcount while I move to across the river to PA. The days of the minimum wage employee are coming to an end. The increased wages will only foster more automation, A I technology will be putting a lot of unskilled folks out of work especially at a higher hourly rate. I suspect all fast food chains will be fully automated in the very near future. The faster the wages rise the faster automation will replace the unskilled worker. Machines don’t need benefit packages i.e. medical insurance, paid leave etc. politicians are incentivizing businesses to develop technology faster to replace the unskilled. Makes one wonder whom the politicians are really working for. They had to listen to dissent but this was a done deal long ago. As Obama used to say… “the fundamental transformation of America.” NJ will never be the same. The bedrock of our jersey culture has been destroyed. NJ will see out-migration the likes of which no State has ever seen. It’s all such a shame. NJ has a rich history of invention and innovation but that was then and this is now. How can NJ ever attract new business with among the worst business climates in the USA and ever increasing property taxes and a health insurance monopoly? It can’t. Small businesses are going to be crushed and expect more announcements soon of major corporations leaving. All the handouts in the world won’t be able to entice companies to come here eventually because the quality of life is going to go way down. Even with the phase in to give the politicians cover it’s not going to stop things from getting bad quickly. We have to come to terms with the reality that NJ (at the moment) is dying.